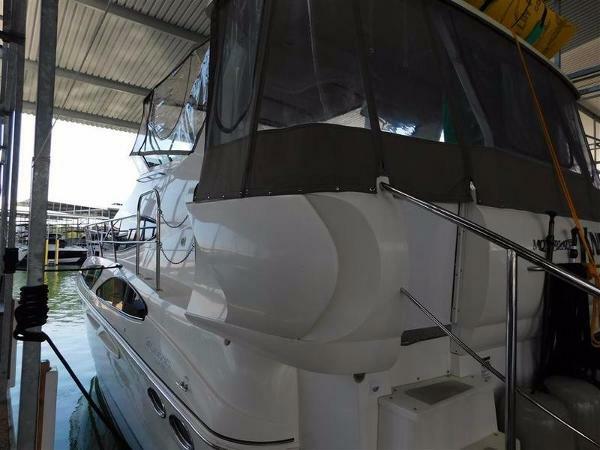 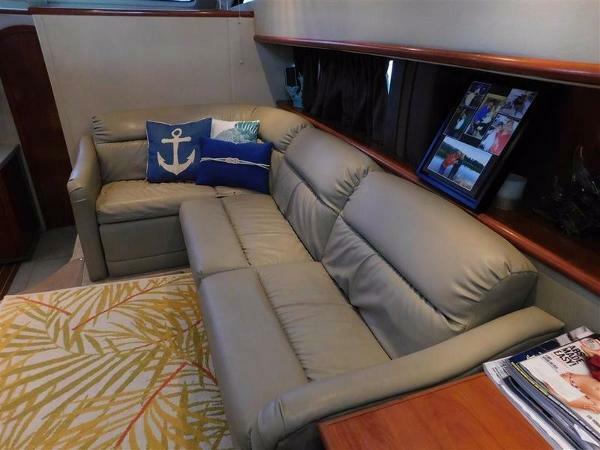 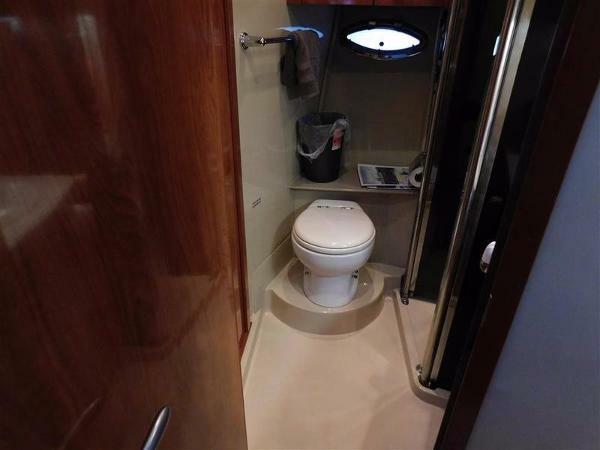 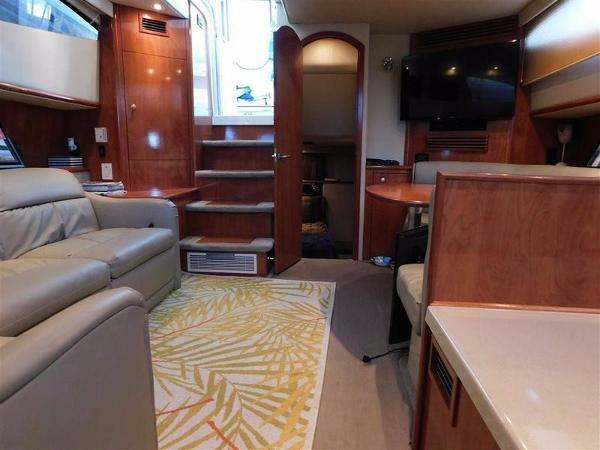 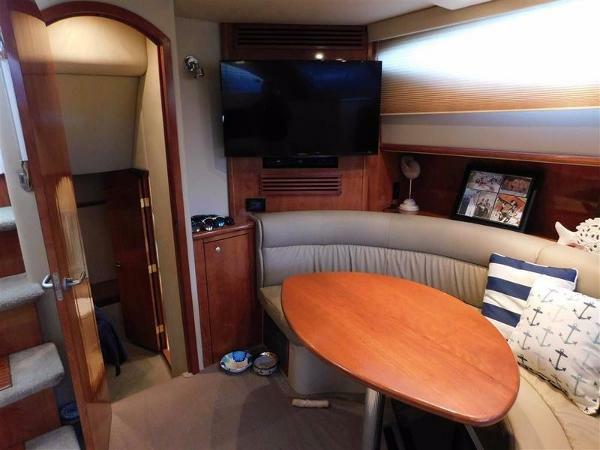 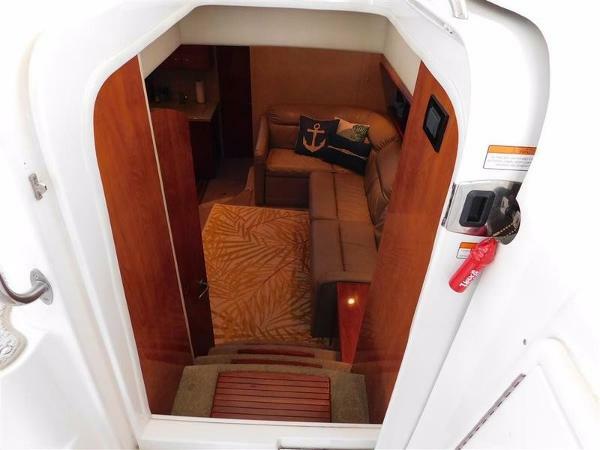 Overstyled flybridge yacht makes good on promise of spacious accomodations and brisk performance. 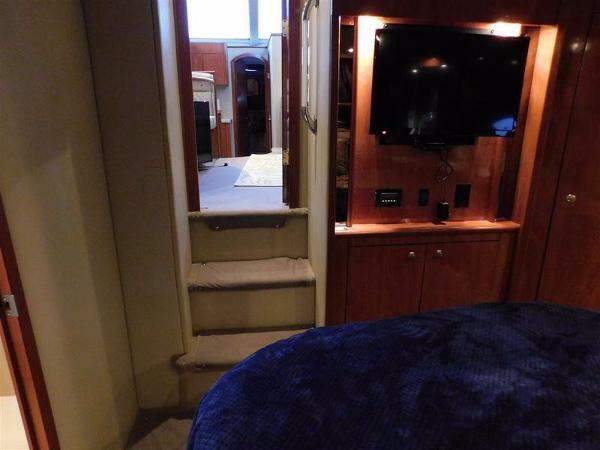 Elegant twin-stateroom interior with optional crescent-shaped dinette. 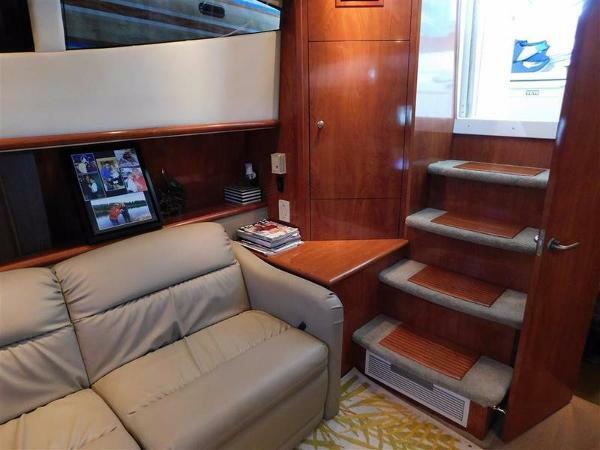 Overlapping elliptical windows provide excellent outside visibility; cherry woodwork blends well with posh upholstery. 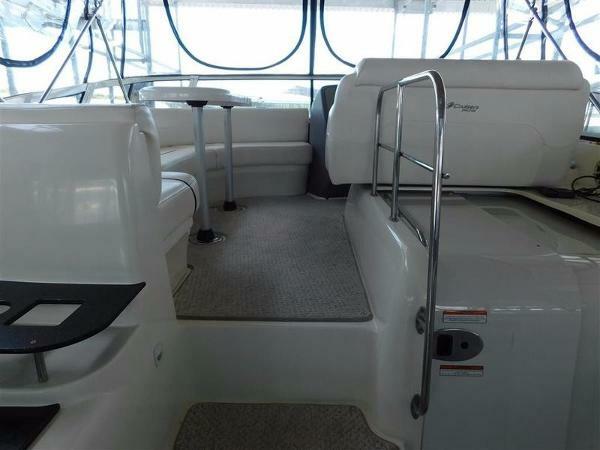 Topside highlights include acrylic wing doors, u-shaped bridge seating, extended swim platform with boarding steps. 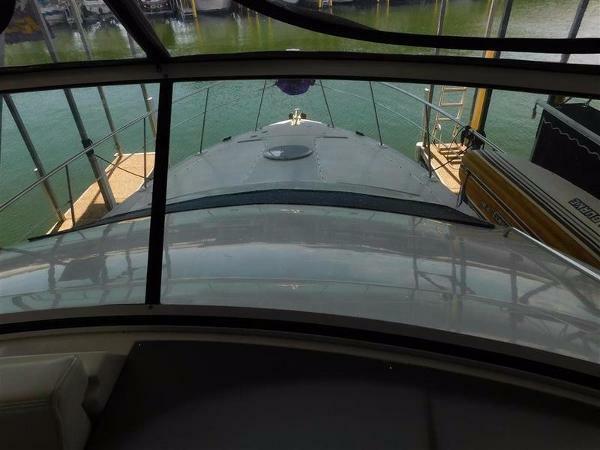 New eisenglass in 2017, new bottom paint and underwater lights in 2018. 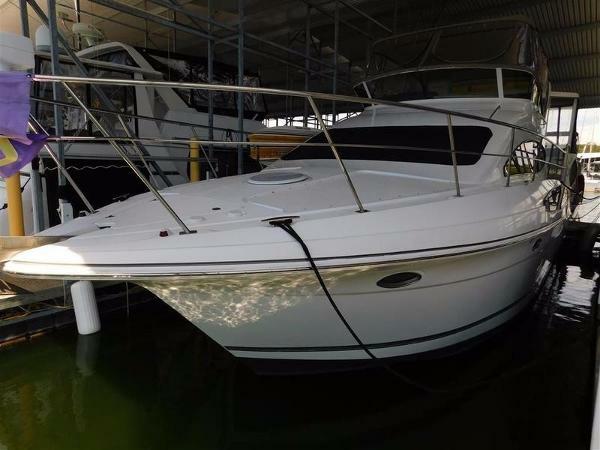 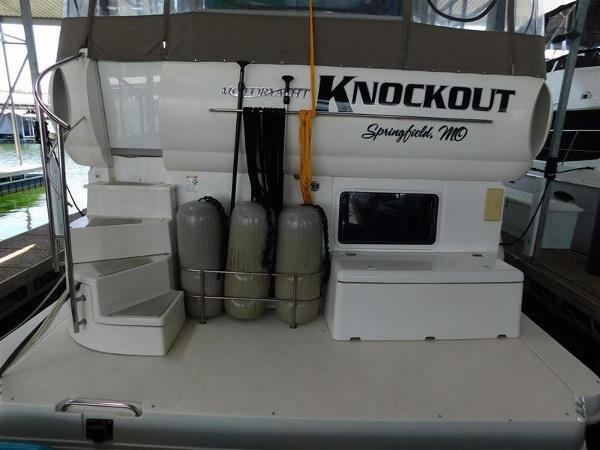 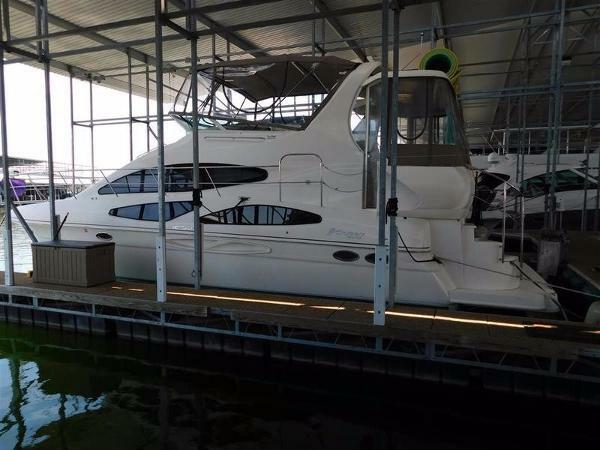 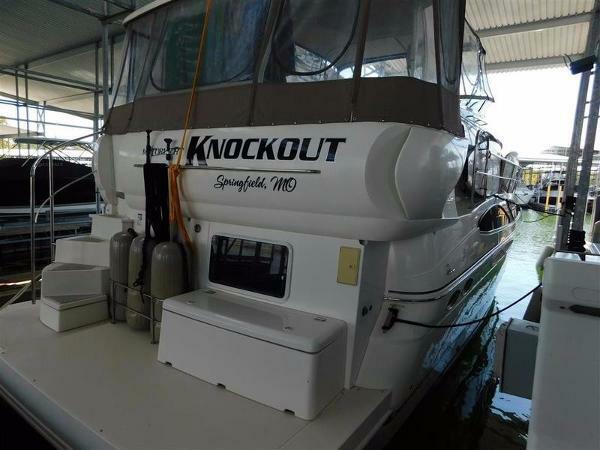 Boat is located on Tablerock Lake, please call for appointment. 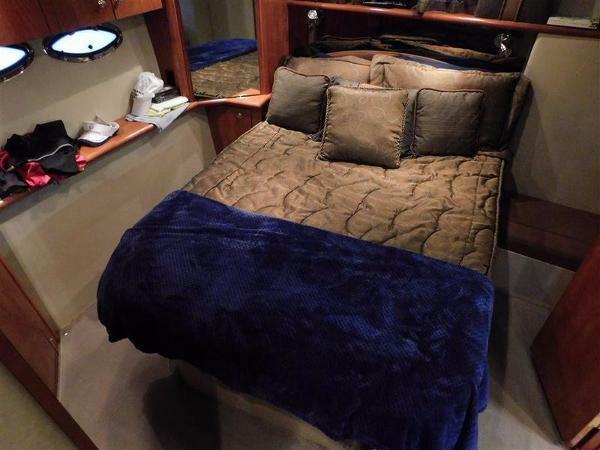 Accommodations: Queen bed in aft with head and shower. 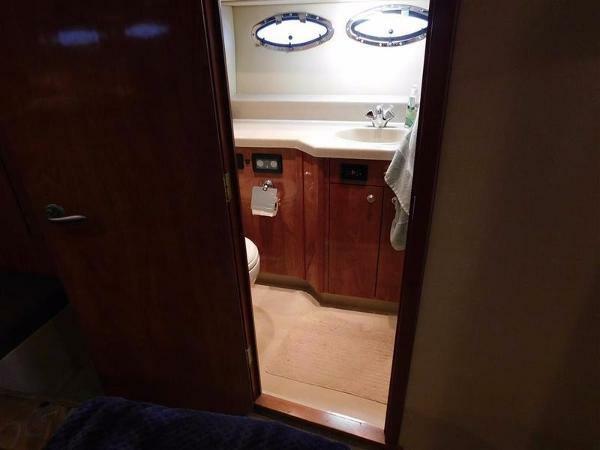 Second stateroom with double and single bed and separate head with shower. 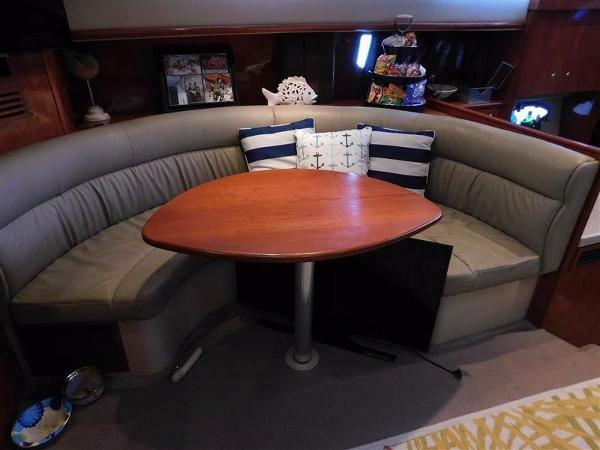 Four flatscreen Televisions with DVD players. 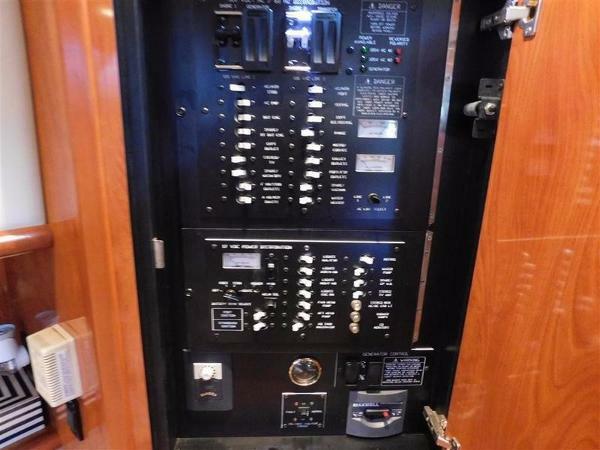 Upgraded stereo system. 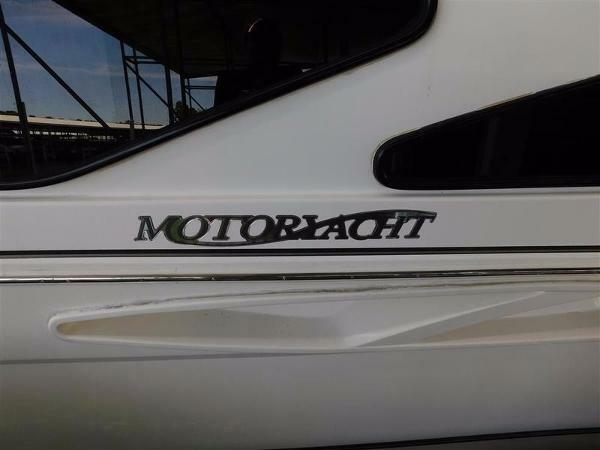 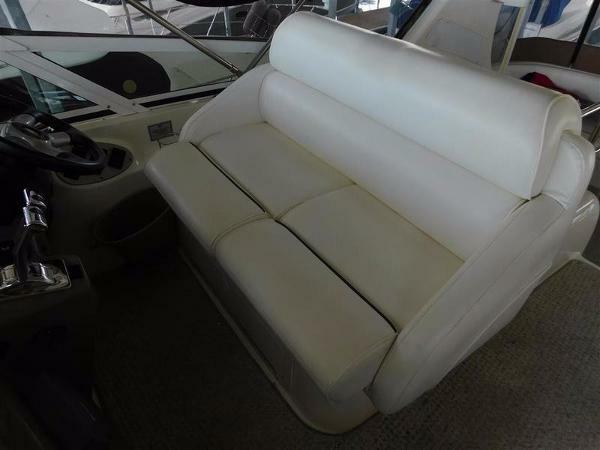 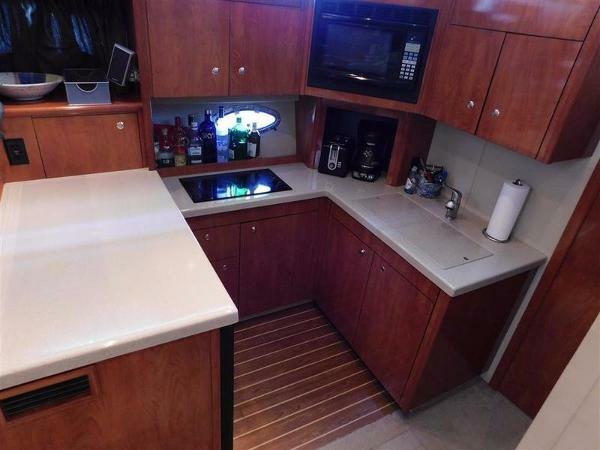 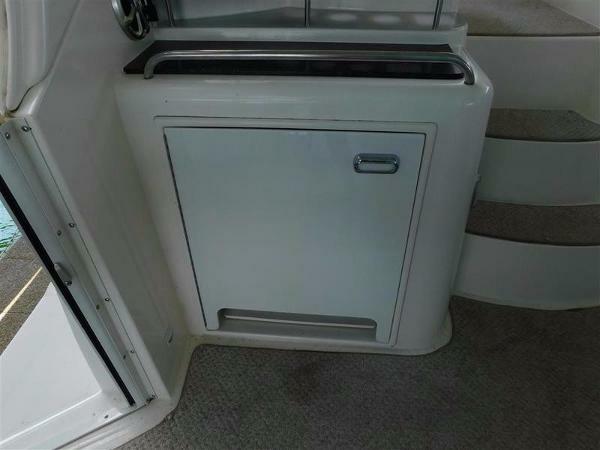 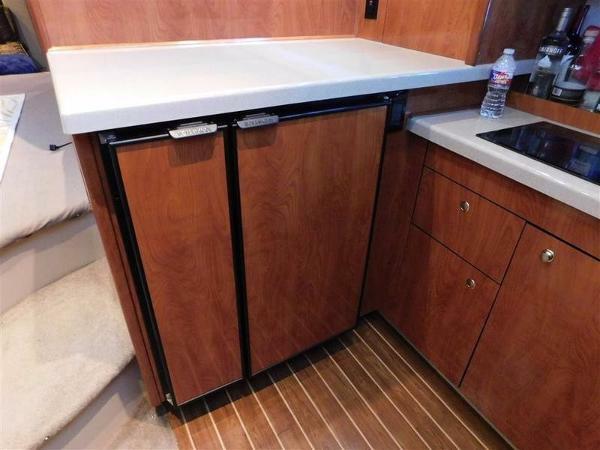 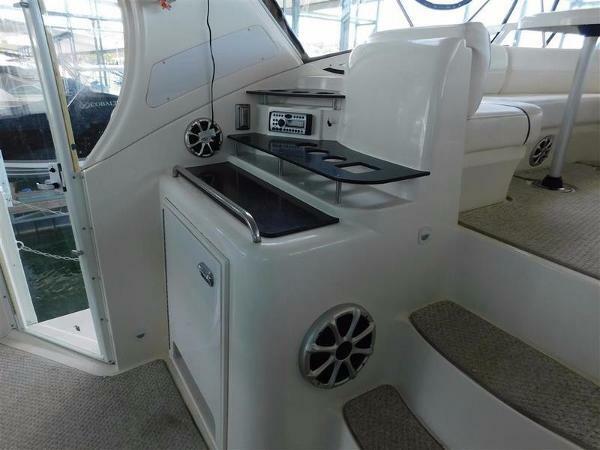 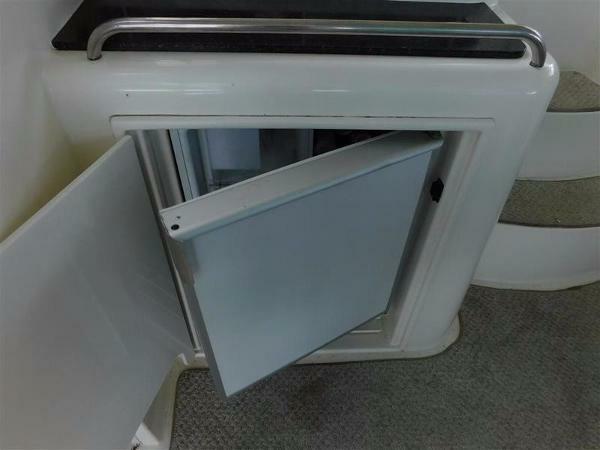 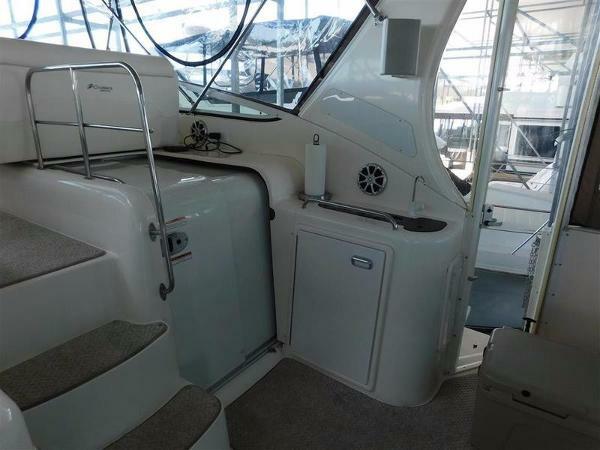 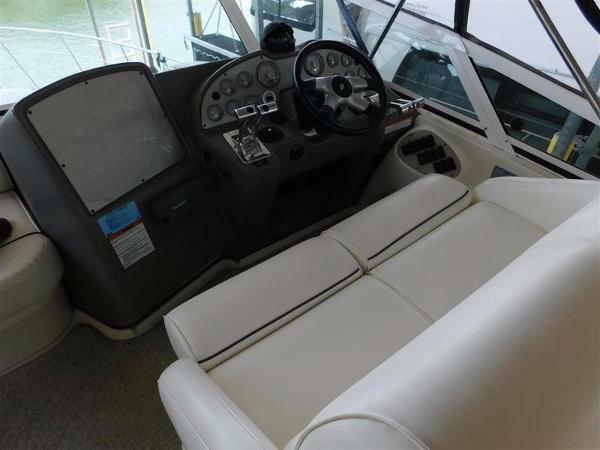 Deck/Hull: Anchor, Pulpit, Dock Power, Compass, Fenders, Fender Storage, Spotlight, Shore Water, Wet Bar, Icemaker/Refrigerator, Sunpad, Swim Platform, Transom Shower, Arch. 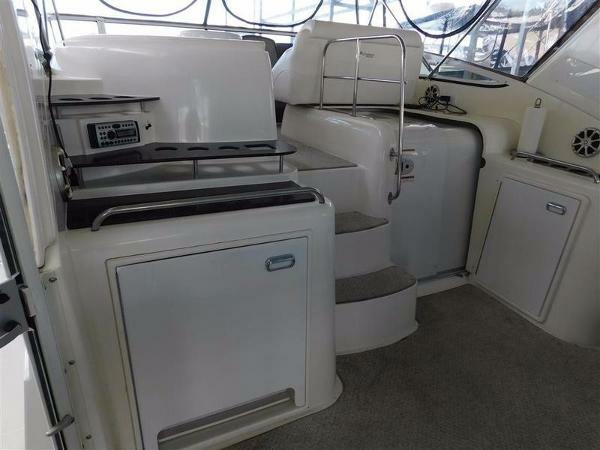 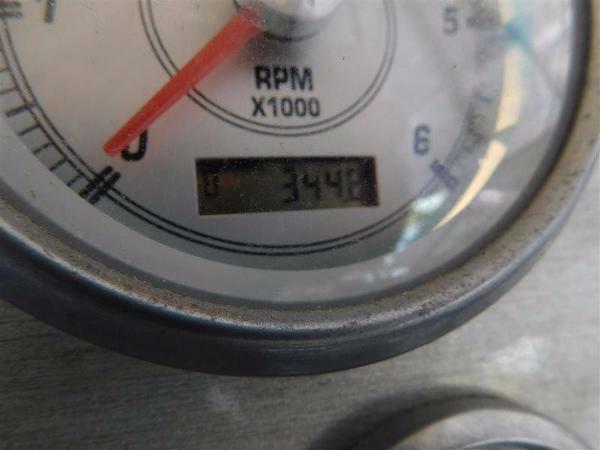 Electrical/Mechanical: 2 A/C Units, Windlass, Depth Finder, Trim Tabs, VHF, Halon, Closed Cooling, Water Heater, Battery Charger.